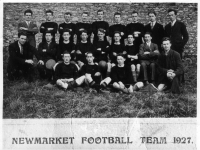 The Gaelic Athletic Association has been part of life in Newmarket since the closing years of the nineteenth century. The records show that the club fielded teams in the Cork County Senior Football Championship of 1897 and 1901. Our story begins really in 1927, when our junior footballers reached the County Junior Final against Urhan. The game was played in Killarney in March 1928. Captained by Paddy O’Shea, they lost out to Urhan. That same year they played in the Senior Championship, losing to eventual winners Collins Barracks. The Duhallow division was founded in 1932 with the club enjoying considerable success in the Junior Hurling Championship, winning it on 14 occasions and leading the roll of honour up to the 1980s. 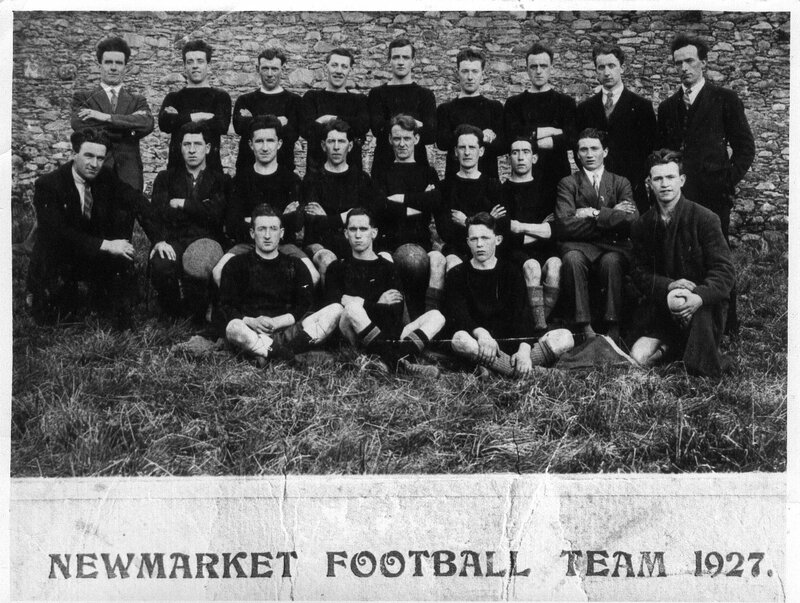 Newmarket returned to the County Junior Football final in 1950, captained by Jimmy O’Keeffe. They lost out to Canovee in a replay. The current club grounds were opened in 1955. Dressing Rooms were opened in July 1976 by President of the GAA, Con Murphy. In recent times, new dressing rooms and a floodlighting system have been added. At the 2002 AGM, Kate O’Brien had the unique honour of becoming the first lady to chair the club. The club is ably assisted by a hard working and committed juvenile club. Twice the County Junior Football title has come to the club, in 1970 and 1998, while in 1981 the County under 12 football title was won under the management of Vincent O’Connor. The minor football team collected the County Minor A Football League title in 2005 having earlier been runners up in the Championship final. The club has over the years provided many players to the County teams. Jerry Cronin holds 5 All Ireland hurling medals: Senior (1977/78), Minor (1974), U21 (1977), Junior (1983). 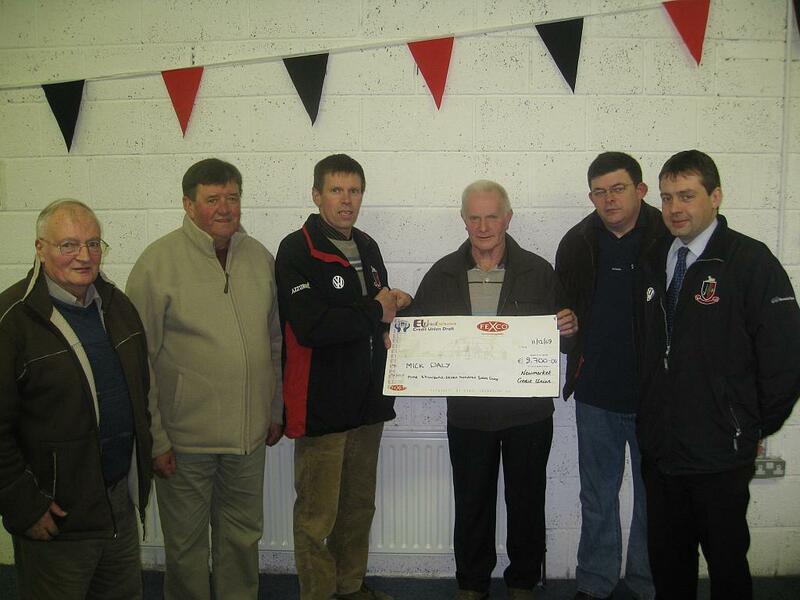 Mick Quane, born in Newmarket, played senior hurling for Cork as a member of Glen Rovers. Connie O’Callaghan played in a senior tournament game in 1980. Seanie Daly had the honour of bringing the first All Ireland medal to the club, winning U21 football in 1970 and junior in 1972. His brother Billy (a Cork senior footballer in 1971) won an U21 medal that same season. Danny Culloty and Mark O’Sullivan have both played in Croke Park on All Ireland Senior Football Final day. Danny Culloty won 2 Senior, 2 U21 and 1 Junior All Ireland winners medals. 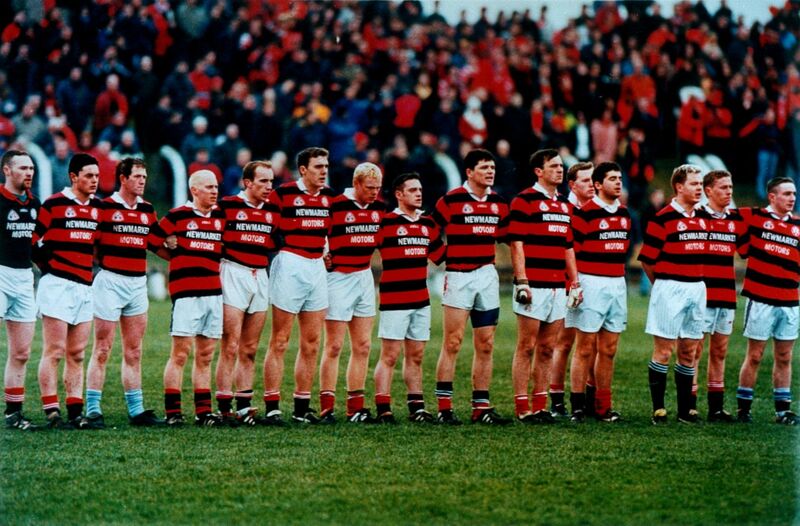 He played 25 senior championship games for Cork between 1986 and 1996 ( captain in 1991/92). Michael Cottrell, Denys O’Brien and Brendan Daly brought All Ireland Junior Football medals to the club. Mark O’Sullivan won Minor, U21 and Vocational Schools All Ireland Football Medals. He also won a National League and Railway Cup medals. Kieran Quilter won U21 Football Munster and All Ireland medals. While John Paul O’Neill had football Minor success at Munster level. Club President, Con Collins was a Cork minor footballer in 1957, his cousin Nelius Collins, a minor in 1966 also played U21 and junior. Sean Culloty played for Cork senior footballers in the National League. Dan Joe Cronin played junior and senior in 1937. Paddy O’Keeffe (1939), Matty Quane (1947) and Donal Cronin (1959) played minor football for the county. Bart Daly won a Munster minor medal with Cork in 2005. Dan Joe Cronin (1972 junior football) and Jimmy Cross (1951 minor hurling) were selectors on those All Ireland winning sides. 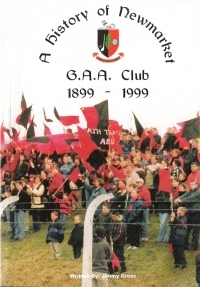 In 2002 the clubs history was written by our esteemed club Vice President, Mr. Jimmy Cross, assisted by former chairman and long serving club officer, Andy O’Connor, covering the period 1899-1999.